If you're a science major, like it or not, you might find yourself one day doing research on rats! That's right, you'll be working with the poor little critters on all sorts of science experiments. 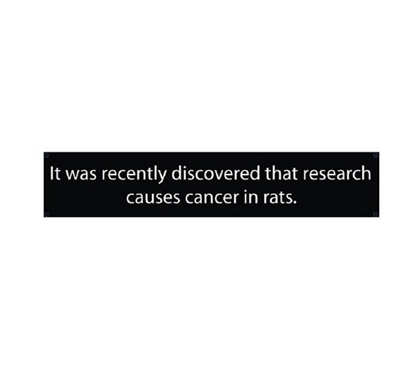 Until then, consider the lighter side and keep things humorous with this Cancer In Rats - Funny Tin Sign. College tin signs make ideal wall decorations for dorms since they're durable and reusable. This funny tin sign for college students will also give you a little chuckle every time you or a new visitor reads it. College decorations with some character make the best ways to decorate your dorm rooms!